The idea of jazz as a catalyst for social change is not new. Throughout its history, jazz musicians have sought to use the art form to articulate societal ills, and present solutions (which almost always focus on spiritual realms, although a few use it as a platform for a political agenda, such as socialism). The most fascinating aspect of this is that, unlike other music genres, folk, rap, etc., many such “jazz activists” have sought to do this through instrumental music. This is unique to jazz. However, those who do this have become rare in recent years. 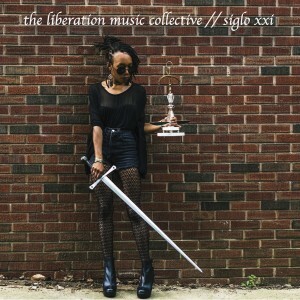 Enter the Liberation Music Collective. Based in Indiana, and borrowing the group’s name from the concept initiated by Charlie Haden and Carla Bley (the Liberation Music Orchestra), the group and their founders / composers Matt Riggen and Hannah Fidler have undertaken the herculean effort of going to battle against social injustice with music as their only weapon. It’s clear the ensemble extends the tradition of jazz as social consciousness and a means of change, and keeps an identifiable connection with their forebears without imitating them. Often one can hear the influence (or perhaps “lineage” is a better word) of the likes of Haden, Charles Mingus, etc. But they make their own contributions as they stand on the shoulders of these giants. And this must be: it would be impossible to compose socially conscious music that is not in sync with the current zeitgeist. One way they bring jazz activism into the 21st century is in the use of samples (e.g. “Matthew: Jazz Mass” starts with a segment of an interview with saxophonist Matthew Setzler, “Bismillah” uses samples of Muslim feminists, LGBTQ activists, and Malcolm X, and the Ahdan; the Islamic call to prayer. Other samples of interviews grace the music). This is something the pioneers of jazz activism would never have done. But the influence of modern technology and other art forms such as hip hop have made the eventual infusion of this into jazz inevitable. They use this to great and dramatic effect in the context of what would otherwise be entirely acoustic jazz. The compositions themselves are quite ingenious. They range from intriguing jazz compositions, powerful platforms for jazz and free improvisation, to some surprising deviations (such as “El Viento” a composition based on a Santaria hymn which starts as an almost Jobim type song, and segues into a powerful Latin Jazz excursion, or “Interitus” which summons the spirit of Quincy Jones’ period of classic jazz, before switching gears and making a mad dash into Mingus’ and Henry Threadgil’s territory). It’s clear that Fidler and Riggen have solid musical concepts to build their music upon. The horn arrangements and individual solos are brilliant. The compositions and the Collective’s interpretations never fail to evoke a powerful emotional response. There is something in the production that begs mentioning. The mix makes liberal use of stereo separation and panning; much more so than a vast majority of modern releases. This harkening back to the bygone era of actually using the stereo spectrum in a recording is a refreshing and very welcome artistic device. The Collective’s idealism / ideology and music support without interfering with each other. 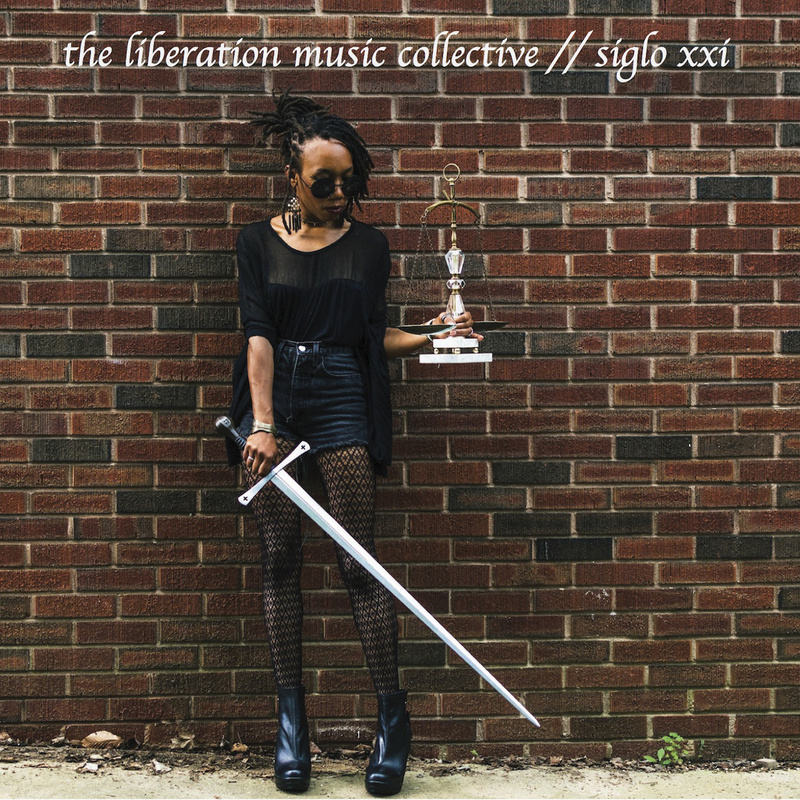 Siglo XXI is a heroic gesture, and an effort to propel the momentum of jazz toward a sense of spiritual awareness and social responsibility that the world needs. This entry was posted in CD Reviews on December 17, 2015 by Sohrab Saadat Ladjevardi.